Liposuction is the surgical procedure that is used to treat isolated pockets of fatty tissue. While liposuction does indeed remove fatty tissue, liposuction should be thought of as a sculpting procedure and not simply as a procedure to remove fatty tissue or a weight loss method. Liposuction requires the use of small incisions placed within the natural creases of the body. Metal cannulas are introduced through these small incisions, and fatty tissue is then removed between the skin and deeper muscle layer. The best candidates for liposuction are those who are unhappy with stubborn areas of fat and wish to achieve a more toned physique. Patients should be in generally good health and at or near their target weight. It is best if patients have a body mass index (BMI) of 35 or under, as there is a higher risk of complications when at a higher BMI. Candidates should also have good skin elasticity to allow for the stubborn areas of fat to contract and tighten once the excess fat has been removed. Although men and women who exhibit these qualities are typically considered good candidates for the liposuction procedure, this cannot be determined until a consultation has been made with Dr. Neil Zemmel to properly assess your health and aesthetic goals. Dr. Zemmel and his staff are awesome! 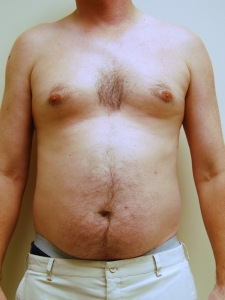 I had liposuction of the abdomen and flanks and a breast reduction. I am so pleased with the results. I feel better and look better. I am only in to my 7th week of healing and I have already dropped 2 sizes in my clothes. What a feeling!!! I would strongly recommend Dr. Zemmel to anyone wanting to have ‘body work’ done. He is awesome.. The whole staff here is wonderful. They make you feel welcome and they truly care. I am looking forward to my new look. Liposuction takes approximately 1 to 3 hours depending on the number of areas treated. Liposuction does not require any significant incisions across the trunk or extremities and in general is less invasive when compared to the excisional procedures (full or mini abdominoplasty). The procedure calls for placing a few small 3mm or 4mm incisions across the trunk to allow access for fat removal. Dr. Zemmel places these incisions in hidden areas or in the natural creases of the body. This allows them to heal remarkably well leaving little evidence that the procedure was performed. Dr. Zemmel uses small cannulas to give his patients a high-definition result. Small 2mm and 3mm cannulas also cause very little post-operative bruising and swelling allowing you to recover much quicker. 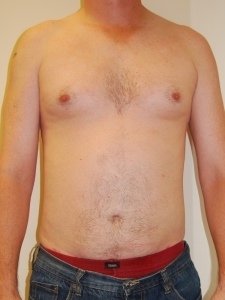 Our surgeon will treat the deeper and more superficial layers of fatty tissue in each area. A significant amount of fat will be removed from each area to give you a natural, sculpted, proportional appearance. You will be placed in a spandex-like compression garment after surgery. This reduces the amount of post-operative swelling and bruising you may experience. You will wear this garment for approximately 3 weeks after surgery. Any discomfort you experience throughout the recovery is typically well-managed with pain medication. Most patients require a week to recover, though this will vary based on how many areas were treated and the extent of the fat removal. After this time, patients can typically return to work and resume their daily routines. Strenuous exercise should still be avoided for a few weeks, or until your surgeon advises. Results can begin to be noticed immediately for some patients, but more in-depth contouring is typically not apparent until a few weeks following the procedure, as swelling continues to subside. To maintain your more toned figure, you should follow a nutritious diet and exercise regularly, as these can prevent weight gain and create long-lasting liposuction results. Our plastic surgeon believes the key to a successful liposuction procedure is using meticulous technique and proper cannula selection. Liposelection™ is a variation of the traditional liposuction procedure. Liposelection™ is similar to liposuction, but Liposelection™ uses ultrasound energy to loosen and break up fatty tissue before it is removed with the liposuction cannulas. Ultrasonic liposuction can yield improved results in certain scenarios. Ultrasonic liposuction may give great skin tightening, more accurate fat removal, and reduced post-operative bruising and swelling when compared to traditional techniques. Your surgeon will discuss both traditional tumescent liposuction and ultrasonic liposuction with you during your consultation. If you would like more information on liposuction procedures, or if you would like to talk more about your options in a confidential consultation with our plastic surgeon, please contact Richmond Aesthetic Surgery. As with any surgery, liposuction carries some degree of risk. In addition to mild to moderate swelling and bruising, some patients may experience soreness, numbness, and itchiness in the target areas, but these should be temporary and quickly subside. Less common side effects include uneven skin texture, changes in skin color, and prolonged numbness. Although these risks are possible, Dr. Zemmel will take every precaution to lower your risk of any complications and ensure you receive the safest procedure possible, helping you achieve your goal outcome.me.